When the plight of Syrian refugees is discussed world over these days, many in India and outside do not know that this country has hosted refugees since centuries. According to a 16th/17th century legend, the collapse of Zoroastrianism in Iran led a group to migrate to the present Gujarat state. After Partition in 1947, 7.2 million Hindus and Sikhs (and very small number of Muslims) moved to India from Pakistan. After the abortive 1959 Tibetan uprising, more than 1,50,000 people followed the 14th Dalai Lama, of which 1,20,000 are still in India. Their government in exile is functioning from McLeodganj. In 1960, the present Karnataka state allotted 3,000 acres of land for their settlement. The Government of India has built special schools for them for providing free education, health care and scholarships for those who excel. They are given a permit to live in India, which is renewed every year or six months, but not to new arrivals. Every Tibetan who has crossed 16 years of age has to apply for this permit. The Government also issues "Yellow Book" to a refugee after one year, which allows them to travel abroad. During the Bangladesh Liberation War, India opened its border for Bengalis fleeing genocide by the Pakistan Army’s SSG units. Indian states such as West Bengal, Assam, Meghalaya and Tripura accommodated them in camps. There are also 400 Pakistani Hindu refugee settlements in India. More than 60,000 Afghanis came to India after the 1979 Soviet-Afghan War. In India, they are not recognized as refugees, but UNHCR conducts a programme for them. In 2015, the Indian government granted citizenship to 4,300 Hindu and Sikh refugees from Pakistan and Afghanistan. 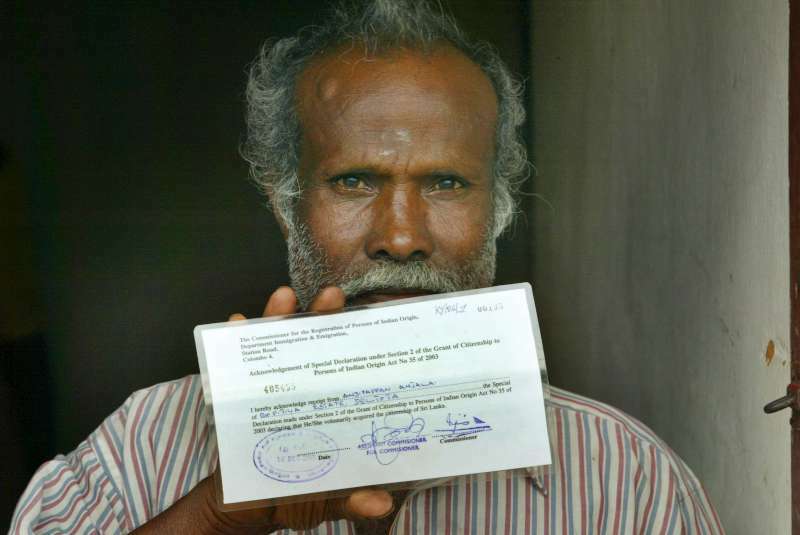 More than 1,00,000 Sri Lankan Tamils were also sheltered in India during the Civil War. The latest arrivals are Rohingyas from Burma who have been declared as the most persecuted ethnic group in the world by the UNHCR. The Indian government does not officially recognise them as refugees, but has allowed the High Commissioner to operate a programme for them. As per the latest UNHCR data, the number of refugees registered with it till August end 2015, is 27,000 and asylum seekers 6,000, mostly from Somalia, Afghanistan and Myanmar. A small number of 59 Syrians also live here. Some of the refugees this reporter met said that they are not very happy to stay in an alien country but thanked India for providing them shelter. According to Ms Suchita Mehta, senior communications and public information assistant, UNHCR, Delhi, "A refugee is given a card that facilitates him/her to get free education till the age of 13 and medical facilities in government hospitals." But, like any other Indian, they also have to stand in queue for availing these medical benefits. A visit to their settlement shocked this reporter -- stinking surroundings, potholed roads, no streetlights and no proper food. Locals think they are rich as they are foreigners. So they charge more for any item they buy. They also face threat from local residents. One cannot take up a job as they have no residence proof. Even if they manage to get one, they are paid less than their Indian counterparts. They end up in doing some menial jobs for a living. For example, a qualified anaesthetist was found working in hospitality business. One refugee said he had to pay $2 to a local resident to get him one SIM card on his identity. "India’s refugee policy is an example for the rest of the world to follow"
“Traditionally, India was liberal towards asylum seekers and refugees,” said Saud Tahir, project coordinator of Refugee Rights Initiative, a part of Human Rights Law Network. However, no law exists in India to deal with refugees as the country is not a signatory of the 1951 United Nations Convention relating to the Status of Refugees. “The ad hoc nature of refugee policy in India and the absence of a robust domestic legal framework have led to uncertainty and arbitrariness in the treatment of asylum-seekers and refugees,” said Shailesh Rai, senior policy advisor, Amnesty International India. However, a local raised voice against the government for accommodating these refugees in the country. "Hundreds of Indians go to bed without food every day. Instead of taking care of us, the government is interested in projecting a good image of the country abroad. Many refugees are involved in drug trafficking and women in other illegal activities," rued a youth, Rajinder Singh from a nearby slum. * Names of refugees are withheld on their request.